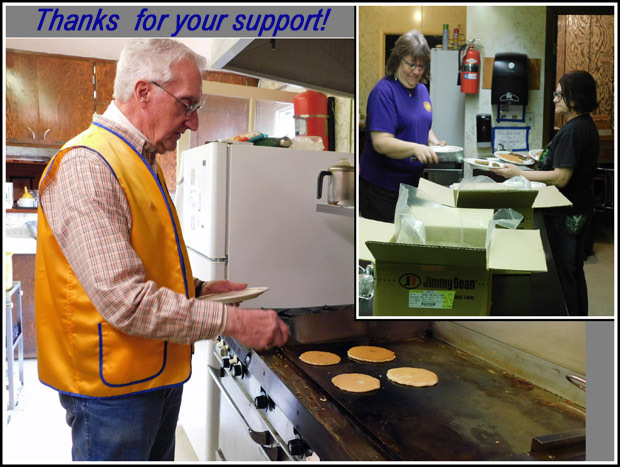 Larry Shoemaker (center) was welcomed as newest member of the Belle Fourche Lions Club during the club meeting on Thursday, March 22nd. He is flanked by Lions John Cooper (left) and Melodey Zupan (right). Lion "Coop" sponsored Shoemaker; Lion Zupan is Vice-President and presided over the meeting. 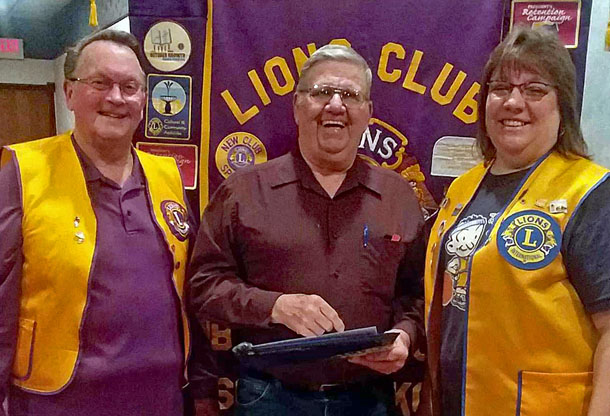 Welcome Lion Larry Shoemaker!